Have you ever wondered how words look, taste and feel to someone who cannot hear? And who is following Yasmin and Ruby across Alaska in the dark? 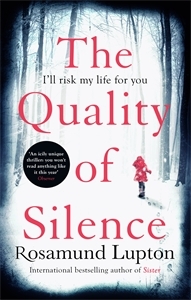 Listen to clips from the audio edition of The Quality of Silence, read Ruby’s tweets and discover the Alaska of Rosamund Lupton’s thrilling new novel. 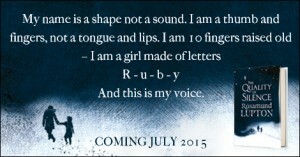 The Quality of Silence is available in hardback, ebook and audio on 2nd July 2015. To read the first two chapters, click here.